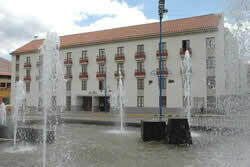 Welcome and transfer from Cusco airport to the hotel. 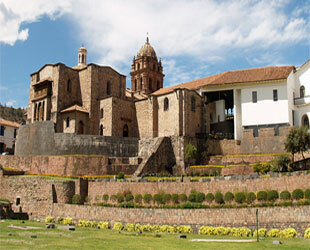 City Tour Cusco: Cathedral, Qoricancha, Sacsayhuaman, Tambomachay ... (evenings from 14:00 hrs-18: 00 hrs.). 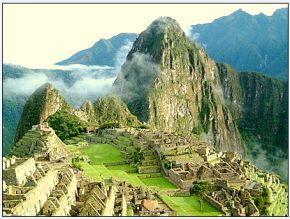 Tour to Machupicchu (all day from 06:00 hrs - 20:00 hrs). Important: Peruvian tourists who have their valid ID receive a discount of USD 20 DLRS in the tour cost for admission to Machupicchu.No in the package includes airfare, these are roughly between $ 240 (Base Rate) and U.S. 643 (Flex Rate) per person round trip (Lima - Cusco - Lima), according to availability of spaces, if they wish, we may add. Tours to Machupicchu, Sacred Valley of the Incas and Cusco City and vicinity. Train tickets roundtrip Cusco - Machupicchu - Cusco. Bus tickets up and down Aguas Calientes - Machupicchu - Aguas Calientes. Revenue to all tourist attractions to visit Machu Picchu, Sacred Valley, City and surrounding areas, churches and museums. 3 nights at Hotel (subject to availability). 3 breakfast buffet in hotels, 1 lunch buffet in the Valley. Ticket reservations and service spaces and Agency. RECEPTION AND CITY TOUR IN CUSCO: On your arrival at the airport in Cusco, we will be waiting with a sign with your name, then transported into the selected hotel, where they rested for an hour, take a coca tea and evening start City tour from 13:30 hrs to 18:30 hrs begin the tour of Cusco and surrounding areas. Tour a Machupicchu "The lost City of the Inkas" After getting up early and have breakfast, we climb to the Inca citadel of Machu Picchu and we can appreciate the spectacular sunrise this marvel. Then we'll star the tour guide to the citadel of Machu Picchu, for about 2 hours, visiting the Main Plaza, the Circular Tower, the Sacred Solar Clock, the Royal Quarters, the Temple of Three Windows and various cemeteries around for more than two hours. Then you will be given free time to stroll through the citadel. Optional: can make the trek to Huaynapicchu this will take about 2 hours round trip (no guide). They will have all morning to Machu Picchu to take pictures and be in this mystical place. Then descend by bus to Aguas Calientes in the afternoon and take the train back to Ollantaytambo, where our staff will be waiting for you, to transport you by bus to Cusco and drive you to your hotel. (Photo: Machu Picchu). Tour to the Sacred Valley of the Inkas This tour starts around 09:00 hrs., we pick you up at your Hotel, we have a guided tour to the Sacred Valley of the Incas, over the Vilcanota river, with a panoramic view of Pisac an old Inca City and a visit to the Inka market in this village, where we will have the chance to know in a closer way its people customs and get good bargains with the handycrafts and souvenirs sellers, afterwards we'll head for Urubamba, traveling on the borders of the river Vilcanota. 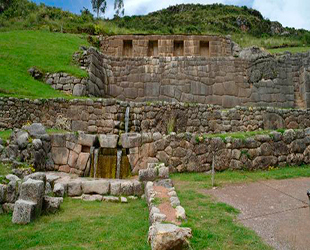 On the way back to Cusco we will stop by the colorful village of Chinchero, where we will find the ruins of the Tupac Inca Yupanqui Royal House, we will appreciate its well preserve Inca wall in the man square and you will visit the beauty Colonial Temple with invaluable portraits, built over Inca Bases. Then we return to Cusco. Tourist Bus Transportation for the entire journey. Buffet lunch at a tourist restaurant. FAREWELL We'll pick you up from your hotel to drive to the airport so you can aboard your flight. Wear sneakers or tennis shoes or light. Drink plenty of fluids during their excursions. Raincoat (poncho long) in the rainy season. A light backpack per person. Currency in small denominations carry dollars or soles.